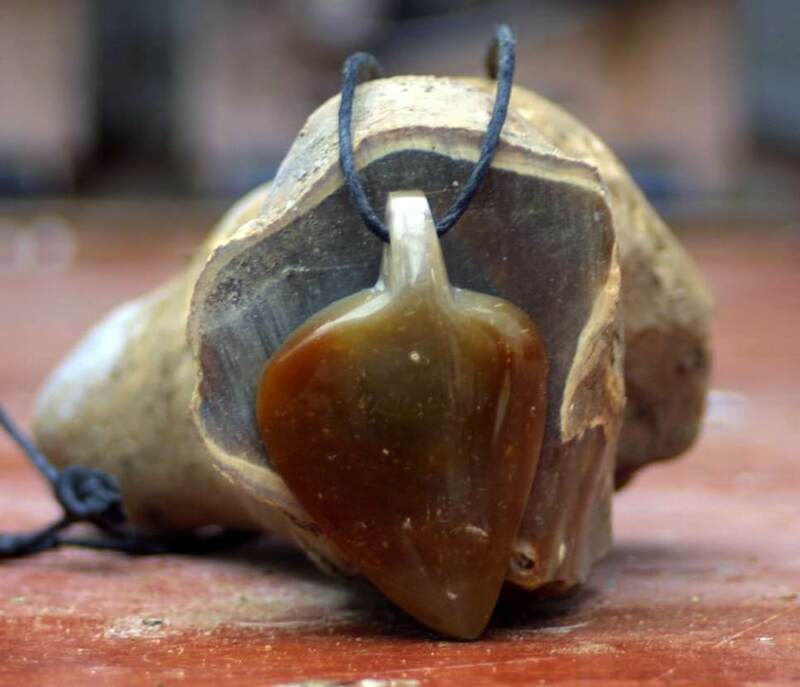 Introducing our first pendant in our new Eco range of jewellery which will be made of rough flint and other interesting stones that we find during our travels around the UK. We call this our Eco range because there has been no mining activity involved to find this material, also no one has been exploited or put in danger to extract this material and finally we are making use of the waste that has been produced as a result of building projects. Anyway here is our first piece, it was an experiment and turned out quite well even though it’s a little lopsided at the top I think this adds character to the piece. 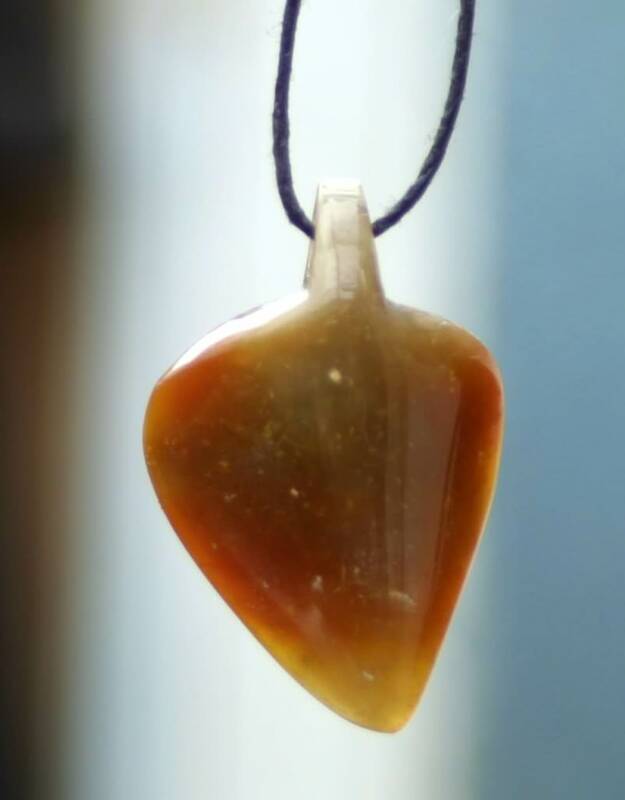 In producing this pendant I had a clear idea that I wanted to use no metal for a jump ring and I also wanted to have the hole for the hemp to run side to side rather than from front to back. This piece was made out of the find I made a while back in Hertfordshire, anyway here a few photo’s. The first is of the finished piece standing in front of the rough it was cut from, and the second is of the pendant hanging so that you can see the colours in it.